A great vintage characterised by very hot days and cool nights. The wines combine great structure and fruit giving perfect balance. The tannins give great ageing potential to this vintage. A great wine to keep in your cellar. 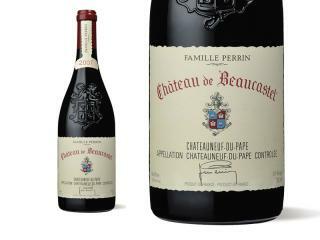 The terroir has expressed itself through this vintage: an indisputable balance between elegance, finesse and power. The finish is very sweet for more gluttony. A dense and complete wine emphasized with perfection. Can be aged for years, or open after decanting. The 2007 vintage is characterised by a nice roundness. The colour is deep and dark ruby, nice complex nose, this wine shows its potential in the mouth with a beautiful freshness and powerful notes of spice and liquorice. Deep ruby in appearance. The wine shows a sharp attack and is rich and balanced, marked by intense aromas of candied fruit. A superb vintage with impressive length and a persistent finish. A great vintage for Chateauneuf du Pape that requires a few more years ageing to enjoy in the best conditions and make the most of the complexity and the aromatics.